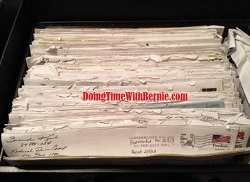 DoingTimeWithBernie.com: Fox News Megyn Kelly tries to use felon corrupt cop Bernard Kerik as an expert and twitter erupts! Fox News Megyn Kelly tries to use felon corrupt cop Bernard Kerik as an expert and twitter erupts! Fox News Megyn Kelly tries to use corrupt cop felon on probation Bernard Kerik as a law enforcement expert and twitter erupts! Megyn Kelly has rid herself of those awful ratchet blond hair extensions and @Twitter thinks she should do the same for using felon corrupt cop Bernard Kerik as a trusted "law enforcement expert". On Tuesday night, on Fox News' "The Kelly File", Kelly's producers called out the "we-can't-get-anyone-but-a-felon-masquerading-as-a-cop-near-a-holiday" list of "ex-spurts" which unfortunately included corrupt cop felon Bernard Kerik to blab his dumb ramblings on the Laquan McDonald assassination by Chicago Police Office Jason Van Dyke. @fox @SheriffClarke Remove dumb ex con Bernie Kerik for honorable LE Officer, Kerik a swine! Kelly calls him Commisioner, we got better ppl. @owillis @Wisco My absolute favorite CNN terrorism expert: Bernie Kerik, nominated to be first Homeland Security chief. Convicted felon. Some, like the co-author of "From Jailer to Jailed" know corrupt cop felon Bernard Kerik is a despicable liar and a fraud, but it seems the world is catching on!